How to Convert BBC TV Series Sherlock DVDs to MP4 Video? As a big fan of the British TV drama Sherlock series, I have ever been considering converting my Sherlock DVD collections to videos so that I can enjoy the drama on my portable players. Here I will introduce two ways to convert the BBC TV Series Sherlock DVDs to MP4 video files. Sherlock series DVDs are encrypted. The most important is to find a effective DVD ripper program to remove the protections and then convert DVD to MP4 Video file. Any DVD Cloner Platinum make this easy and simple. I do like the concise and straightforward interface of Any DVD Cloner Platinum and its conversion speed. The DVD ripper is quite easy for operation. I downloaded the evaluation version and converted Sherlock Season 2 to MP4 video file successfully. I will illustrate how I manage to do that. After the Sherlock DVD disc is inserted to my DVD drive, I launched Any DVD Cloner Platinum and waited for the program to complete analyzing structure of inserted DVD. I clicked the DVD ripper tag in the left panel and choose "Normal" in the list. In fact, the DVD ripper program has enriched its output profile with almost all popular devices in the market. For example, if you want to watch Sherlock Season 3 on your iPad Mini, you can choose iPad Mini in the profile. The DVD ripper rips the DVD to MP4 video file that is perfectly supported in iPad Mini. The last step is to click the "Start" button to start conversion. The program converts a 1hr30min eposide in 20 to 30 minutes, which is much faster than other DVD rippers. This is the fastest and most effective way to convert my Sherlock DVD collections. Any DVD Cloner Platinum converts Sherlock series DVDs to high definition videos and allows me to enjoy the videos on my tablet. Any DVD Converter fails to convert Sherlock series DVDs directly. It seems that the program can only convert unprotected DVDs. Never mind. This method is a bit more complicated than the first one but still works. I remove the protection from Sherlock series DVDs with DVDSmith Movie Backup and then convert the unprotected DVD folder to MP4 video with Any DVD Converter successfully. DVDSmith Movie Backup is a free DVD copy program which is able to convert DVD to DVD folder. Insert Sherlock DVD to the program, choose a clone mode (Full disc & Main movie) and then hit "Start". An unprotected DVD folder will be created in simple three steps. The next step is to import the DVD folder to Any DVD Converter and choose "MP4" in the output profile for conversion. Both of the two methods help convert the BBC TV Series Sherlock Holmes to MP4 Video file for playback on other devices. 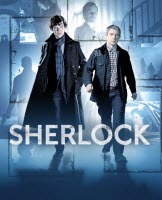 If you are a owner of Sherlock DVD collections, the programs are well worth trying.